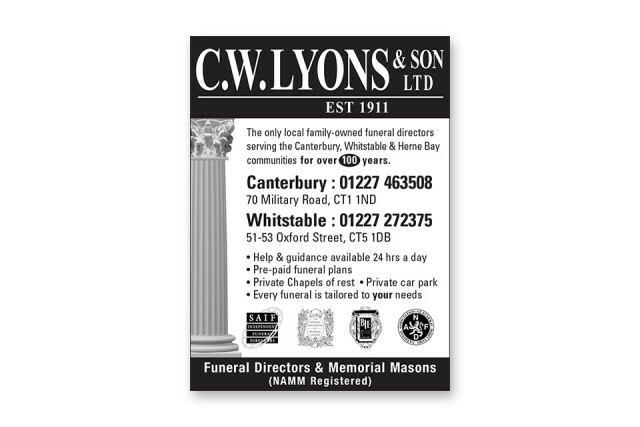 Family owned, independent Funeral Directors, C W Lyons have been working with us for over ten years on a variety of projects including a long-term advertising campaign. 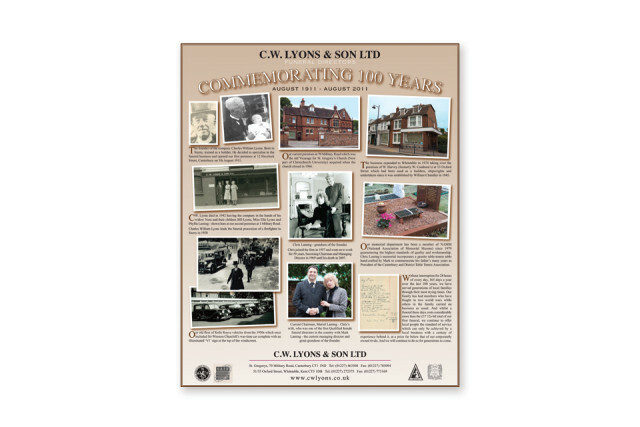 We understand the sensitivity that is required for any communications in this sector, and set about designing a discreet black and white advert that features weekly in Kent publications. Alongside this, more recently the company marked their centenary with a commemorative full page advert, designed to illustrate the company history over the last hundred years. SEA handle all booking requirements and management of the campaign, including ongoing liaison with various publication sales reps, in order to make the process hassle-free for the client.